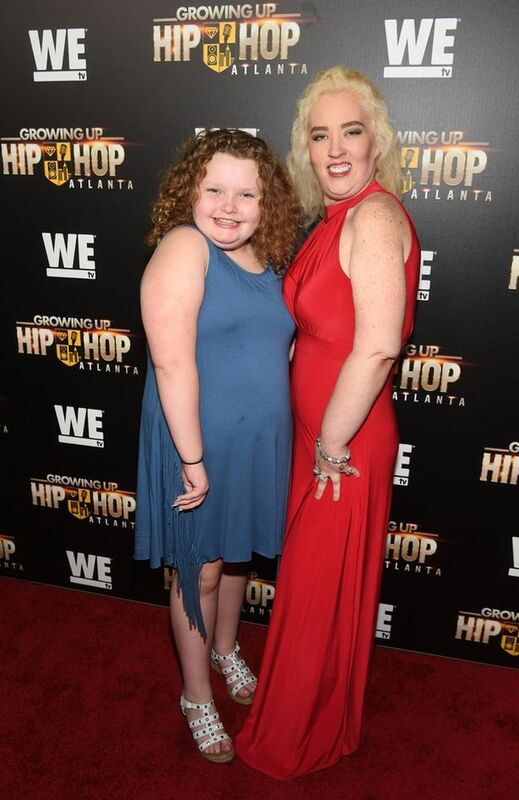 Mama June, also known as Honey Boo Boo’s mom, ha showed off her new figure while walking the red carpet in a slinky red dress at the premiere for Growing Up Hip Hop Atlanta seemingly channeling screen siren Marilyn Monroe. Mama June appeared at the event with her daughter Alana, better known as reality star Honey Bo Boo. June Shannon, the 37-year old mom known for her appearances in the world-popular reality TV show Here Comes Honey Boo Boo, went on a diet two years ago, determined to loose weight and become popular and more attractive. The reality star’s dramatic transformation was covered on TV show From Not to Hot, which showed her try to get a “revenge body” in the run up to her ex Sugar Bear’s wedding. 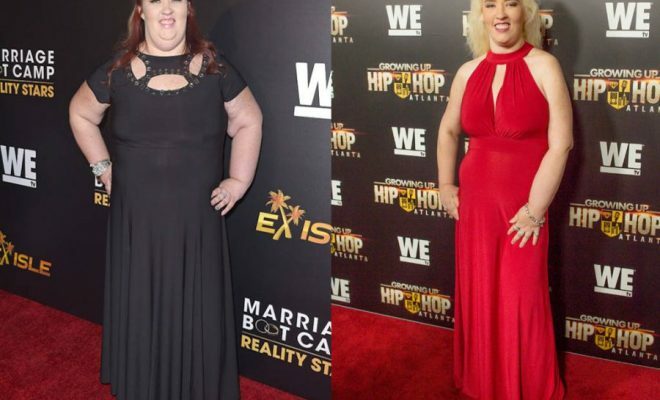 Red seems to be Mama June’s color since going from 460 pounds to a size four. In a recent photo shoot, the mother of four looked like a Baywatchlifeguard while modeling a flattering red swimsuit. She also wore a red dress to her ex Mike “Sugar Bear” Thompson’s wedding, which was featured on the season finale of From Not to Hot.